As I mentioned in a previous article, the average house price in Telford is 5.78 times the average annual Telford salary. This is lower than the last peak of 2008, when the ratio was 5.88. A number of City commentators anticipated that in the uncertainty that trailed the Brexit vote, UK (and hence Telford) property prices might drop like a stone. The point is – they haven’t. Now it’s true the market for Telford’s swankiest and poshest properties looks a little fragile (although they are selling if they are realistically priced) and overall, Telford property price growth has slowed, but the lower to middle Telford property market appears to be quite strong. 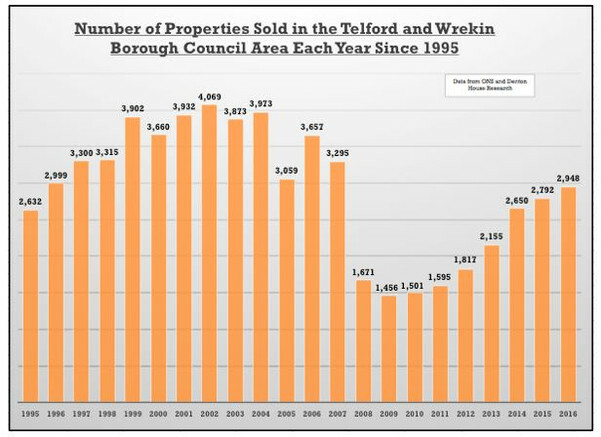 Even though we are not anywhere near the post credit crunch (2008 and 2009) low levels of property sales, the inactivity of the Telford housing market following the 2016 Brexit vote has seen the number of property sales in Telford and the surrounding local authority area level off to what appears to be the start of a new long term trend (compared the Noughties). But coming back to today, looking at the property sales figures in the Telford area since 2010/11, a new trend of number of property sales appears to have started. Interestingly, this has been mirrored nationally. The reasons behind this are complex, but a good place to start is the growth rate of real UK household disposable income, which has fallen from 5.01% a year in 2000 to 1.68% in 2016. Also, things have deteriorated since the country voted to leave the EU as consumer price inflation has risen to 2.7% per annum, meaning inflation has eaten away at the real value of wages (as they have only grown by 1.1% in the same time frame). With inadequate real income growth, it has become more difficult for homeowners to accumulate the savings needed to climb up the housing ladder as the level of saving has also dropped from 4.26% of household income to -1.11% (i.e. people are eating into their savings). 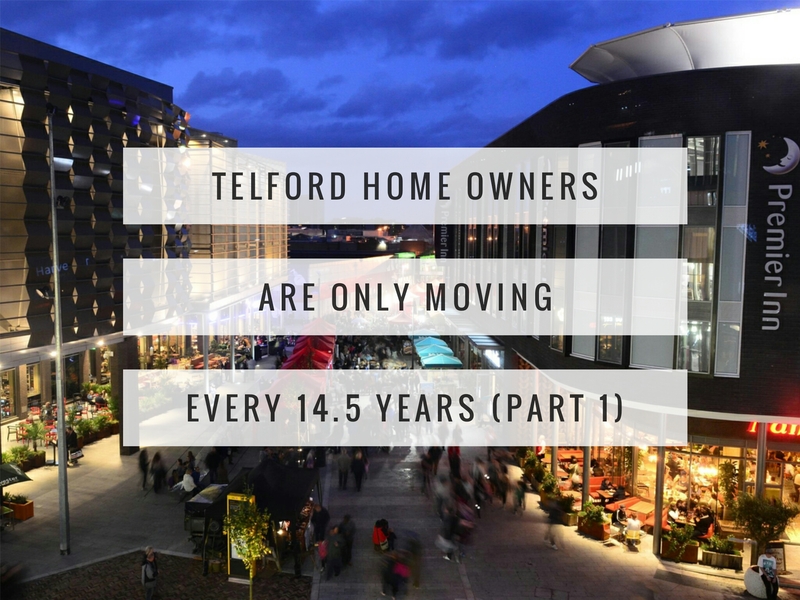 Next week I will be discussing how these (and other issues) has meant the level of Telford people moving home has slumped to once every 14.5 years.